We all love getting more from our money, so why should your rebate be any different? An easy way to make sure you’re getting your maximum rebate is to start tracking your receipts. Here are our top tips to keep your receipts in check for tax rebate time. Before you go digging around for receipts, make sure you’re in the know about what you can claim with your rebate. If in doubt, remember that any expense which was incurred wholly and exclusively for the sake of your business can be claimed. For more information about the expenses you can claim, take a look at our guide here. Get into the habit of asking for receipts for all of your business transactions. This means that there will never be any doubt about what you’ve spent and how much you could claim. For transactions completed online, storing receipts is a simple matter of hitting download. However, you should also make sure you’re saving your paper receipts electronically. Invest in a cheap scanner so you can send a copy straight to your computer every time. 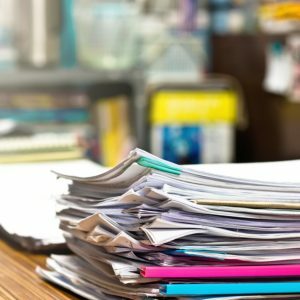 It’s easy to become overrun by mess and clutter but keeping your records in a state of disorder can cause issues when it’s time to fill in your tax return. Getting and staying organised means you won’t miss any receipts in the scramble to find everything. If electronic filing isn’t for you, try investing in a set of folders or files so nothing will go missing. Leave your tax rebate to us and we can make the process simple. Just keep track of your receipts and we’ll do the rest. To get your rebate started, just download your pack or fill in your details and we’ll send your copy in the post.